"Oh, I shouldn't think so for a moment!" I wrote the original version of this blog entry on Wednesday 4th May 2011. Yeah I was a few days ahead but there was a couple of trips away coming up and a hospital visit so having a few (29) blog entries in the bank didn't hurt. Besides it meant that I got to spend the morning of my Birthday watching one of my favourite surviving episodes of sixties Doctor Who. And as a bonus I got to talk about the London Underground too! RESULT! Jamie closes the doors on the Tardis sealing them off from the forces pulling them outside. 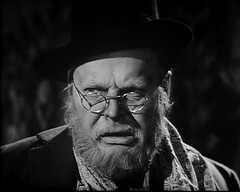 At a museum in London the elderly Edward Travers is arguing with the museum's owner, Julius Silverstein, for the return of his Yeti when Travers' daughter Ann arrives. 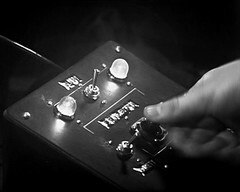 Travers tells her that he has reactivated a Yeti control sphere but it's gone missing. She persuades him to come home with her. The museum's owner goes to lock up when he hears a crash. The Control Sphere has broken through a window, reactivating and changing the Yeti. The beast comes alive killing Silverstein. The Tardis materialises in space but finds itself quickly coated in a web like substance. In London some soldiers are in an underground shelter Corporal Lane is on the telephone as Corporal Blake searches for Captain Knight. Knight is giving an interview to journalist Harold Chorley, paying tribute to their commanding officer, Colonel Pemberton, who has been recently killed. Travers is brought in by some soldiers: his presence has been requested by his daughter who is working here. The Web clears a little allowing the Doctor to move the Tardis half a mile from where they were expected to land. They are in a tunnel. Exploring they find they are on the platform of Covent Garden Underground station. The Doctor believes it's night time but walking to the locked surface gates they find it's broad daylight. A news paper seller sits against the gate, but when Jamie taps him on the shoulder he topples over dead, revealing a sign reading "Londoners Flee! Menace Spreads!" Retreating to the tunnels Jamie steps onto the track but fortunately for him the power is off. 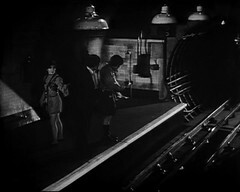 As they walk down the tunnels to the next station suddenly the tunnel is illuminated. Hiding, they are passed by three soldiers unravelling a drum of cable. Jamie & Victoria follow the soldiers while the Doctor traces the cable back to it's source. Craftsmen Weams thinks he hears something in the tunnel but Staff Sergeant Arnold dismisses his fears. However Victoria then walks into a cob web and screams, allowing the three soldiers to capture them. 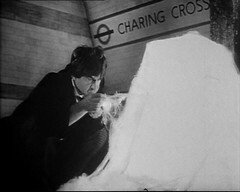 The Doctor follows the cable to Charring Cross station where he finds in wired to boxes of explosives. He hears a familiar beeping sound and ducks under the platform as a Yeti walk onto the station. Back at the base Lane is unable to contact Holborn to find out what's happened to their ammunition truck. Ann Travers tells him and Captain Knight that she's repaired the blast recorder. 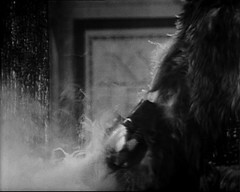 Another Yeti joins the first, both pointing guns at the explosives box which cover it in a web like substance. 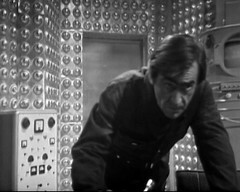 However the section at the start of this story makes me feel the Tardis crew are in a lot more danger than the brief segment at the Enemy of the World did which we'll credit to returning director Douglas Camfield, who'd not worked on the program since the 12 part Dalek Masterplan two years earlier. 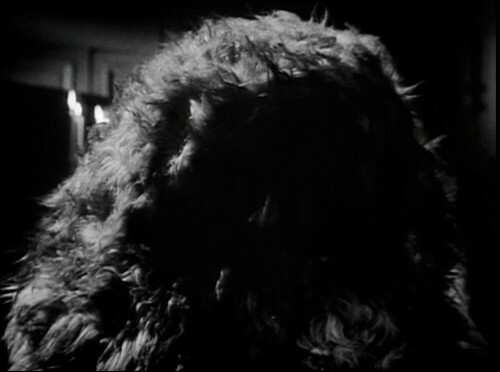 But the actual opening of the story is superb, almost straight out of a Hammer Horror film, complete with candles, and the sequence as the Yeti change form and come to life might as well be Frankenstein's Monster coming to life. 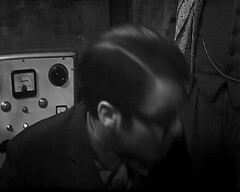 This sequence features one of the few actors in Doctor Who who were born in the 19th Century. Frederick Schrecker, playing Julius Silverstein the Yeti's owner, was born January 10, 1892 in Vienna, Austria. He'd have been 76 when this episode was made. He made his film acting début in 1913 in Der Feldherrnhügel as the Regimentsarzt (under the name Fritz Schrecker) He died 8 years later on July 13, 1976 (age 84) in London. 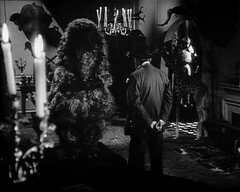 The scenes with Silverstein in his museum, originally planned for location filming at the Natural History Museum, are brought to perfection by the music used: Bela Bartok's Adagio from Music for Strings, Percussion and Celesta. This appeared in the previous story, the Enemy of the world, most notably in episode 4 when Salamander enters the shelter, but to me it works much better here. It's not the only piece of music this story that returning director Douglas Camfield will reuse! 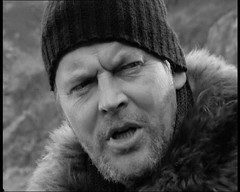 As well as The Yeti the character of Edward Travers returns played once again by Jack Watling, the father of Debbie Watling who plays companion Victoria. He's the second non regular character, after the Meddling Monk, and the first human non regular character to appear in two different stories. Oddly enough the program's MOST regularly recurring character makes his début later in this story. 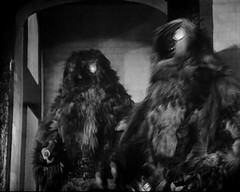 Returning to Doctor Who for this production are Mervyn Haisman & Henry Lincoln, who wrote the Yeti & Travers' previous appearance, The Abominable Snowmen. There's an indication in the script that Haisman and Lincoln might be Pink Floyd fans: Web of Fear features characters named Arnold Lane. Seeing the names together makes you think that inspiration may have come from the Floyd's 1967 hit Arnold Layne. The scenes in the Underground are so atmospheric, it's just such a natural location for Doctor Who to be set in with enclosed dark tunnels. I say location, but it's isn't, this is all Studio Sets. 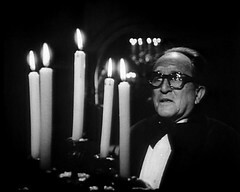 Camfield had his production assistant Gareth Gwenlan, later to be Head of Comedy at the BBC, enquire of London Transport as to the possibility of filming there. They said no, so designer David Myerscough-Jones created the distinctive Underground tunnels in the studio. So good was his work that London Transport wanted to know how Camfield et al had managed to gain access to their premises without their knowledge and court action was mooted. The geography in this episode seems a little bit wonky at first glance: How can the Doctor & co step onto the track on the station where the Tardis lands and end up where they do? A little interpretation makes sense of it. We see three locations: The shelter, which we later find out is the deep level shelter at Goodge Street Tube Station. The Tardis materialises at Covent Garden tube station. The explosives are found at Charring Cross Tube station. So although the story makes it seem that Jamie, Victoria & The Doctor have just walked into the tunnel and found the cable the likelihood is they've walked south on the Piccadilly Line, and then at Leicester Square walked through the station to the Northern Line tunnels - the Northern line connects Charring Cross & Goodge Street stations - and walked from there. But Charring Cross in the story isn't the present day Charring Cross tube station: the Northern Line station there was at the time named The Strand and not connected to the Bakerloo line as it is now which stopped at a separate Trafalgar Square station (now absorbed into the present day Charring Cross station). "Charring Cross" then is the present day Embankment tube station, serving Northern, Bakerloo, District and Circle lines. Since it's the centrepiece of the action it's probably worth reproducing a diagram of the Northern Line c1968. I've included the names then and, where different, now plus which other lines they intersected then and what stations mentioned in the story they're connected to. 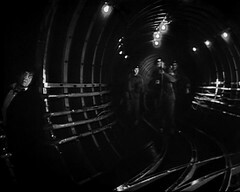 The Army's 2nd base at Holborn, lies on the Piccadilly Line one stop north of where the Tardis landed at Covent Garden. It also has platforms for the Central Line which intersects the Northern Line between Goodge Street & Charring Cross at Tottenham Court Road, for many years the tube station closest to most of London's comic and sci fi shops. Interestingly between Tottenham Court Road and Holborn lies the disused "Ghost Station" of British Museum. Sadly Web of Fear goes nowhere near ghost stations which is a fascinating subject in itself. Right lets get the changes in behind the scenes personnel out the way: It's Peter Bryant's first show as producer proper, after a trial run on Tomb of the Cybermen. The new script editor is Derrick Sherwin, an actor turned writer. He'd been working on the popular soap opera Crossroads and brought with him to Doctor Who a writer he'd worked with there to act as his Assistant Script Editor: Terrance Dicks, who'll we'll he re much, MUCH more from later. There's a little on-screen nod to the production staff at the start of the episode when during his interview with Chorley, Captain Knight pays tribute to Colonel Pemberton, his recently deceased CO. 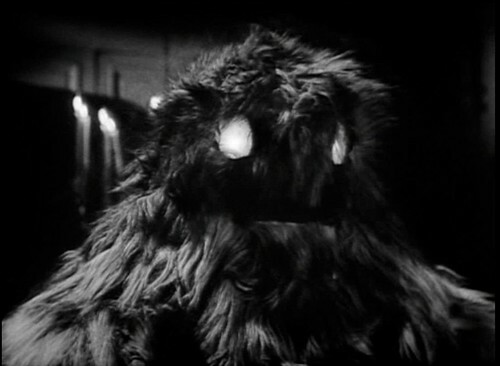 This character is named after Victor Pemberton, Doctor Who's occasional Script Editor (Tomb of the Cybermen, while Peter Bryant was having his trial at producing) who was at the time writing the next story: Fury from the Deep. 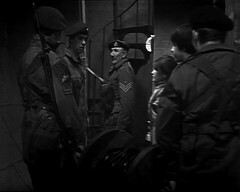 Appearing as a soldier in this episode only is Bernard G. High - he's the young looking chap to the left of the picture looking at the cable drum. 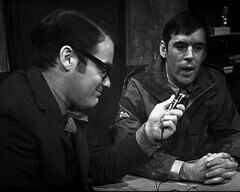 High had appeared occasionally in Z-Cars during 1967 as Det. Constable John. By an odd coincidence his director in all 3 appearances was one D Camfield who later reused him as a Unit Soldier in Terror of the Zygons 2! 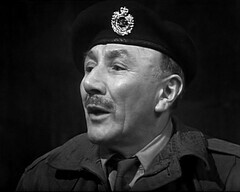 His final Z-Cars appearance, Finch & Sons pt2 also features Richardson Morgan who plays Corporal Blake in this story and later returns as Rogin in Ark in Space! What's that I spy behind Chorley as he gets up? It's another power plant panel! In fact we saw this one in the previous story when it was in Salamander's office! The recent recovery of a near complete set of prints for this story has shed some light on the origins of the BBC's existing print of Web of Fear 1. The prints returned from Nigeria had been sent to them by RTV in Hong Kong. The BBC's print is likely to be the copy of Web of Fear sent back from Australia on 04/06/1975. This batch of films also included all the stories which have had individual episodes recovered in the UK over the years: Galaxy 4 episode 3, Underwater menace 2, Faceless Ones 3, Evil of the Daleks 2 and Wheel in Space 3. I wanted to see Web of Fear 1 when I was younger. I was very fond of the book of this story which I'd read in my local library dozens of times (said Hardback copy now sits on my shelves here) and I knew this episode existed. Anticipation was heightened by watching Abominable Snowmen 2 on Doctor Who - the Troughton Years in 1992. As we saw it wasn't released with Doctor Who: The Ice Warriors in 1998. In fact it didn't come out on video till the very last Doctor Who video release The Reign Of Terror, which Blackstar very helpfully failed to send me necessitating a run round several shops hunting a copy down (thank you HMV in Richmond). 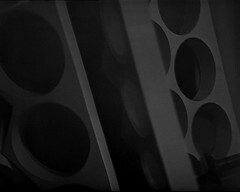 Since the soundtrack for the whole story was released on 6th March 2002 that makes this one of (at the time of the original Blog) four episodes of Doctor Who that I heard before I saw them (the others are Dalek Masterplan 2 and Faceless Ones 1 & 3 - 11 more episodes have been returned since and added to the list). Of course it's now available on DVD as part of Doctor Who - Lost In Time with a commentary by Deborah Watling (Victoria) and Script Editor Derrick Sherwin moderated by Gary Russell. 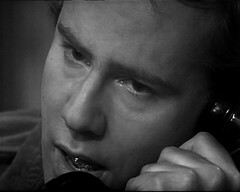 The return of the Web of Fear doesn't affect us for this episode at the moment but a copy of Web of Fear 1 was returned with the four other episodes and apparently that's of superior quality to the existing one so when the DVD comes out it might be interesting to compare the episode there with the one found on Lost in Time. Join us next week as we WATCH Web of Fear 2 - something I never thought we'd be able to do!